As Deepika Padukone and Ranveer Singh are prepping for their wedding in Italy, every other day updates about the ceremony pop up online. It was previously reported that no cell phones will be allowed at the wedding venue and now, several media reports state that the couple have also strictly said no to any wedding gifts. DNA and mid-day report that Deepika and Raveer have said that they would rather appreciate if the guests make donations to her NGO - The Live Love Laugh Foundation - to help those with mental illness. Deepika Padukone opened up about battling depression in 2015, following which she founded the NGO. "The bride and groom have requested the guests to not shower them with gifts. If they wish to give them anything, they've requested that donations be made to Deepika's foundation that actively works towards creating awareness and removing the stigma around depression. Both Ranveer and Deepika are deeply committed to the cause and want to involve all their guests in the good deed," mid-day quoted a source as saying. 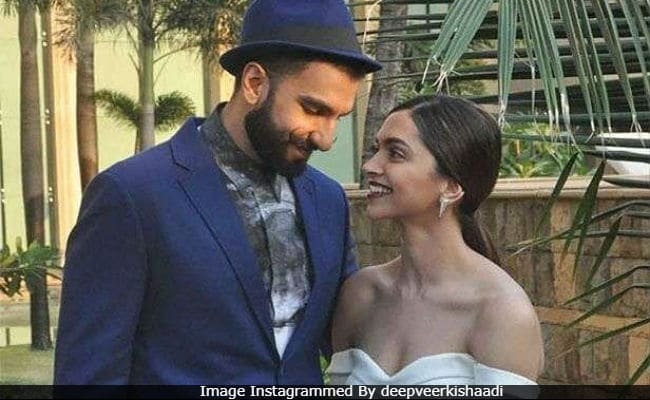 Deepika Padukone, 32, and Ranveer Singh, 33, are have zeroed in on Italy's Villa del Balbianello as their wedding venue. The wedding festivities are scheduled for November 14 and 15. Visuals from the picturesque Lake Como were, their wedding venue, were shared by news agency ANI on Monday. Meanwhile, a picture of singer Harshdeep Kaur and her team from Italy has also been shared by the couple's fan club. Harshdeep is expected to perform at their wedding. Deepika Padukone and Ranveer Singh arrived in Italy with their respective families over the weekend. The wedding will strictly be attended by their families and close friends. Deepika's Om Shanti Om co-star Shah Rukh Khan and director Farah Khan will reportedly attend the wedding and filmmaker Sanjay Leela Bhansali, with whom the couple have made three blockbuster film, is also expected to be a part of the ceremony. Deepika Padukone and Ranveer Singh will host two wedding reception in India towards the end of this month.